Workspaces are great – Until you have to control the printer / scanner in the office, the answer to this can be a challenge. The issue only exists if the client wishes to really use their printer, e.g. scan, change paper size, duplexing, stapling etc. To do this is a challenge. And A challenge we are happy to offer you our solution for. If you have set up your client’s office as a VPN, and the client’s router is set up for this, you may already have this option. But for many companies, we are changing routers and modems due to the current speed of internet change that we are all facing. However, this problem we have found a really easy solution for and we are happy to share this with you. We are using a simple Programmable VPN box on the device called a MikroTik. There are two models that can be ordered from Telephones online: MikroTik hAP 2.GHz AP (Home Access Point) and MikroTik RB951G-2HnD 2.4 GHz Wireless SOHO Gigabit Access Point. It is low cost, easy to install, delivered by Telephones online to your door. The VPN is set up at Amazon and links to the MikroTik that you have on site. Now, if you have a switch, you would have the MikroTik installed between the Modem and the Switch. 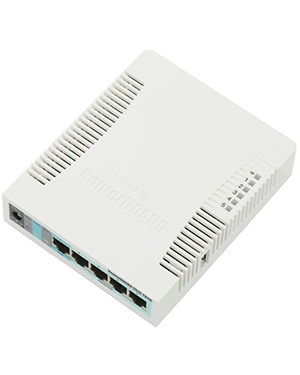 If you do not have a switch, you would install the MikroTik between the modem and your printer. Now each PC can control the printer from Workspaces as if the printer is connected directly to the PC, as it was when they had a local server and local printing. This setup assumes that you have an existing cloud server that the workspaces can access – e.g. for shared drives. If you have any problems, feel free to email us at support@accede.com.au for assistance. As we have now installed quite a few of them, we have found this a simple workable solution.